I love Labor Day. I ate way more than I should have, drank a bit more than usual, and played some great games of Seafarers of Catan. Then, somehow in all the debauchery, I managed to get my Burglar in Lord of the Rings to level 47. I have been waiting for this level for a long time. This, by far, has been the most grueling level to gain. 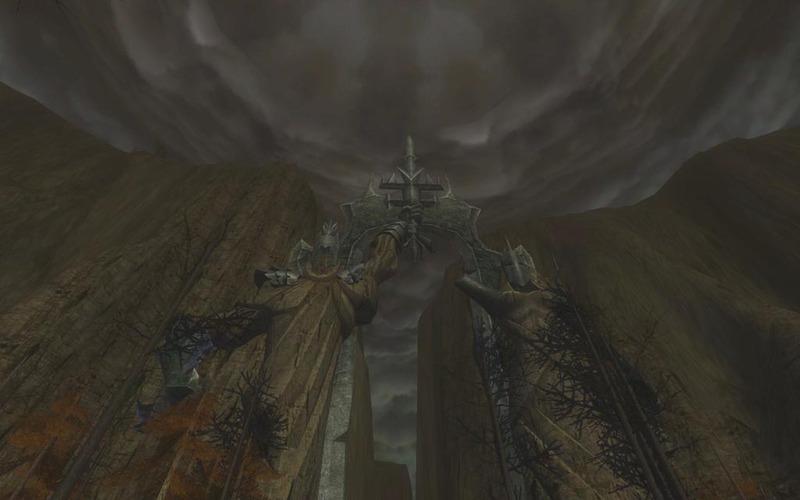 This had nothing to do with the game play itself, it still has produced plenty of quests to do solo and the option to grind out mobs in Angmar is all the more appealing. No, this was because of the loot I had waiting in my bank since I was level 44. The leggings and the chest piece were sitting in my vault for more than a level, taunting me with their red outline, barring me from use. (Thanks Celemdir!) The swords I managed to pickup last week for a measly 500 silver a piece add a nice damage specialization that should help with the wraiths in Haudh Iarchith. Overall, I am one hawt Burglar right now. You may have wondered before why I said that grinding out mobs was somewhat appealing to me. Without getting into the grinding debate, I will say that LotRO does offer the ability to level up at a decent rate, solely by grinding out mobs. Let me give an example. At level 45, all classes gain access to a series of quests that allow them to get some great armor and weapons. These are one of the few class quests you get in LotRO and by far the most time intensive. If I can recommend any one thing to +40 level players, its to hold on to every purple colored item you get. Place them in the bank or send them to an alt, or better yet, check on a good site to see if you may need this for these coming quests. These quests (as a burglar, you begin with two at a time) compel you to gather large numbers of rare and unique items from level +45 areas. At level 46, I was soloing white(equal level) and yellow (+1 level) mobs for anywhere between 300 and 400 experience per kill. Considering that the quests I currently had were only netting around 3,000 exp on average, I found it much more worthwhile not only to camp the mobs I needed for my class quest, but also to grind out the remaining experience for level 47. On top of getting the items and great experience, I also filled out two deeds for a nice trait. I should explain that the experience above includes the rest experience modifier. I can’t remember how much that is at the moment, but if you find you have run out of rest experience, you can purchase more by using your destiny points. There is a small symbol on the top right of the mini-map that allows you to toggle the destiny point display. Click this and then press the “Spend Destiny” button. In here you can find a variety of short term buffs, none of which I have found more worthwhile than the rest experience. I usually play with a small group of friends and find it better to do quests rather than camping an area because it keeps us going. If we had no goal in mind, I’m afraid we would sit around a NPC village talking all night in chat. 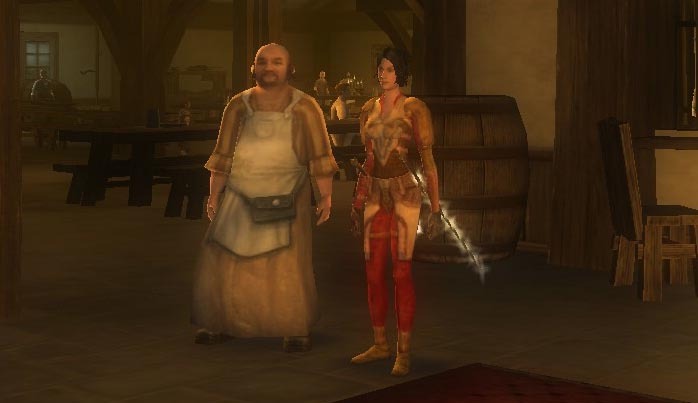 As it was, I was forced to celebrate alone with the Butterbur in Bree. Thanks for the drinks Barlimur. Hopefully tonight we can meet up and head back into Haudh Iarchith and find out what lies beyond those wraiths at the end. Glad to hear you had a nice Labor Day. I ended up doing board gaming myself. We played the new StarCraft boardgame, along with Heroscape, Descent and a zombie game called Last Night on Earth. Fun stuff. 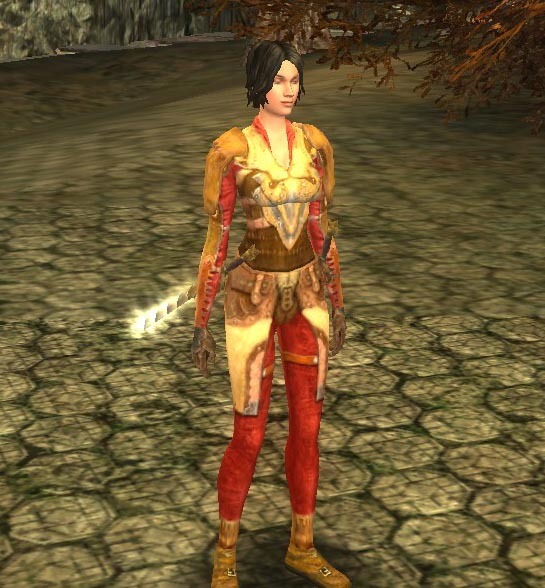 It’s interesting to read about your experiences in LoTRO and that you’ve found it relatively easy to level up your character, even doing things solo. I guess I’ve heard so many others complain about all this mid-level burnout in LoTRO and how the game really becomes either boring, monotonous or too hard at that level. Seems like you’ve done fine however.